The recruits of the Maratha Light Infantry Regimental Centre had an attestation parade on Saturday. It was commanded by Sepoy Sampat Patil and Major Amit Mane was the Parade Adjutant. A batch of 121 recruits of Group 1/14, who successfully completed their training, were attested and will soon be go to different parts of the country. 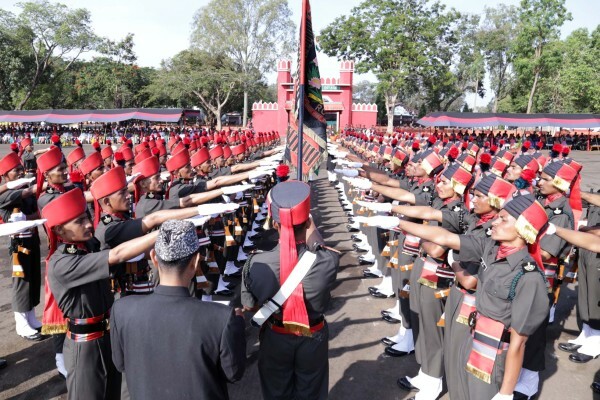 Major General Rajbir Singh, Commander, Junior Leaders Wing, reviewed the parade and the oath-taking ceremony held in the presence of National Flag and Regimental Colours.